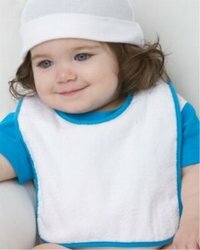 1003 Rabbit Skins 100% Cotton Terry Snap Bib. 100% cotton terry cloth bib with contrasting binding. Two snaps at back of neck.